Meet Andres Hurtado Rangel | Entrepreneur, Business Owner, IT Expert, Marketing Strategist, Investor, Private lender, Speaker. 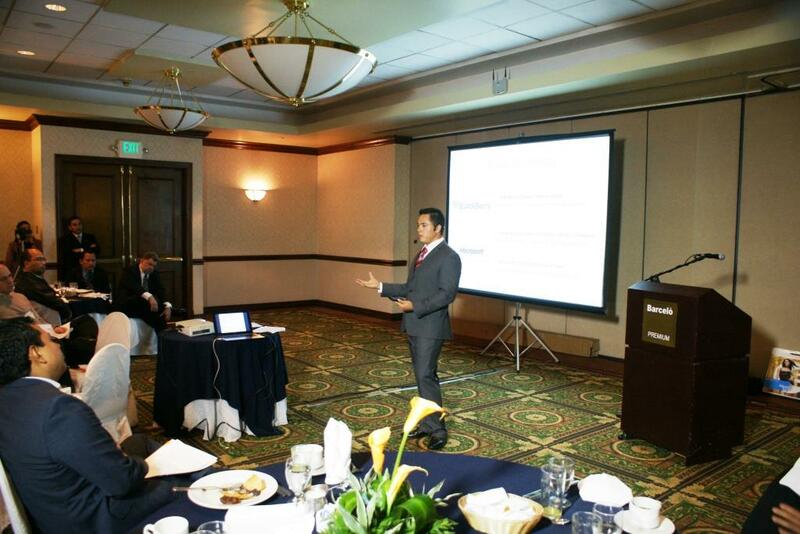 Meet Andres Hurtado Rangel – Entrepreneur, Business Owner, IT Expert, Marketing Strategist, Investor, Private lender, Speaker. 10 business presentation tips for closing more sales from stage. How Entrepreneurship has changed in the 21st Century? 4 ways to ScaleUp your Business From Startup mode. Entrepreneur, Business Owner, IT Expert, Marketing Strategist, Investor, Private lender, Speaker. Andres H Rangel is an accomplished serial entrepreneur recognized for developing successful businesses in Miami FL and for his forward-thinking, innovative and collaborative approach to business. In 1998 Andres becomes Microsoft Certified Trainer and founder’s first consultant firm. During the past 20-plus years, Andres has owned manage service provider, business process outsourcing, Contact Center as a Service and Cloud Service provider technology company called SynerTech Solutions—a pioneer in the use of the hybrid Cloud as disaster recovery and business continuity that allowed companies to protect their critical infrastructure providing services in 17 countries in Latin America. As an Entrepreneur, Andres Successfully exits two tech startups, has been an advisor in other startups and also has failed in many other ventures. with his experience and his extensive tech-background, he has support in many ways other startups to launch incubate and accelerate. As a Serial Entrepreneur, Business owner, Business Consultant, Investor, Lender, and Speaker. He masters the skills of Business development, Partnering, Branding, Marketing, and Networking. He is an expert in complex IT environments for multinational corporations, government and Small Medium Businesses and Developer of Enterprise Cloud Solutions. At the age of 19, he became a Microsoft Certified Trainer and started leading courses and teaching Network infrastructure, Telecom, Information security at Universities, IT Academies and Training Companies. At the same time, he founded an IT Consulting Firm and a systems integrator company which served markets in South America, Central America, and the USA – serving a wide spectrum of industries, such as Banking and finance, healthcare, telecom service providers, pharmaceutical, government, trade, and logistics companies. For nearly a decade Andres has been a leading expert as a Virtualization Architect in Cloud Computing, High Availability DataCenters, Systems, Continuity Replication Backup Solutions for IT Disaster Recovery and Business Continuity Strategies for companies in the United States, Latin America, and the Caribbean. As an experienced consultant in Business Continuity and Disaster Recovery, he provides Consulting and Management Software for Risk Mitigation/Management, IT governance, ICT Crisis Management for private and public companies and Government entities. Andres is the founder of Bizion Group, a business and personal development training company for entrepreneurs and CEOs a US Consultancy Firm specializing in Business Models and an Incubator that supports startups and business expansion into emerging markets, to be part of the economic development. “You could be a Man that..
As a professor, trainer, and leader, he understands how important is to give back to the community, that is why he founded the Making The ShiFT Foundation, a non-profit organization which provides education to children in the Americas with Youth Leadership Programs and Core values for human development, leveraging technology for early education to children in third world countries, by using tablets and eLearning software as a tool to extend the knowledge and empowerment to work today and in the future with entrepreneurship programs for a new social economic development and sustainable communities. Proud Author on topics of Information Technology, Business Critical Processes, Personal Finance, and Entrepreneurship.